So Thursday, I got a call from the school. The school nurse said he was doubled over in pain. A few minutes later, I got a call from the doctor's office. The results of his ultrasound were complete. She said he has gallstones. After I told her how much pain he was in, they wanted to admit him. By the time I picked him up from school, he was still in a lot of pain. I had given him ibuprofen and picked up medication from the pharmacy that is supposed to dissolve gallstones. The pain hadn't subsided at all, so the CF nurse suggested taking him to the ER. Yay, our favorite place, right? After an entire evening at the ER, and one X-ray later, they found out that he was incredibly constipated. About 30 minutes after they gave him an enema, he was 100% back to normal. So, apparently, keeping the intestines lubricated is extremely important, even though he was having normal BM's. So, it seems like the gallstones aren't causing any pain, but he will be on the medication to dissolve them for a while, to prevent any complications. I am very happy that it was a simple fix, and nothing scary like organ damage. We are all so happy to have him home. Those 8 days in the hospital seemed to last so long. We were able to celebrate his 9th birthday at home, which was a huge blessing. It was a cold day. It was cute watching them play with Legos on a blanket in front of the fireplace. It hasn't been exactly a walk in the park doing IV treatment at home. The medication runs for 2 hours twice a day. It has been getting easier to hook him up. It is a process, but it is becoming second nature. But, because it does run for two hours, and it has to be twelve hours apart, the time schedule is difficult. I have to get up in the middle of the night to start it, which is challenging, but doable. It is tiring. They took a blood sample last Thursday to test the levels of the antifungal medication. The doctor said if those levels are acceptable, then he can switch him to an oral equivalent. He is also on a high dose of oral steroids. The only side effect that we have seen is a dramatic increase in his appetite. For the first time in his life, that I can remember, he ate two hot dogs and was able to eat a whole slice of his birthday cake. In one meal. He has been experiencing some dizziness, which I believe is due to the antifungal medicine. I'm hoping in the next day or so, the Picc line can be taken out! So, not all of the blood tests have come back yet, but they have started to treat Azer for ABPA, Allergic Bronchopulmonary Aspergillosis. They are treating him for it based on what the CT scan looked like. Lots of people, even people without CF, have Aspergillus in their airways, and CF people may even test positive for it in cultures, but it is the allergic, asthmatic symptoms that can cause problems. So, they are treating him with an antifungal medication through his Picc line, and they are continuing the antibiotic through his Picc line as well. The side effects from the antifungal medication are a bit scary, but they run it very slow. It's this small bag of medicine that slowly drips for like an hour. He is also on a very high dose of steroids for a month. Also scary. 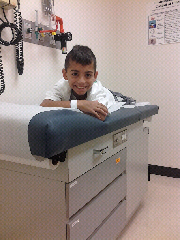 Thursday, they are going to test to see how high the level of the antifungal medication is in his blood. Then, they can determine if we can continue IV treatment at home. This post has been in the draft folder for a while now. Partly due to not understanding the reality of what has happened over the past few years. CF is not an easy road. It starts out with the diagnosis, which feels like falling out of a tree. You skin your elbows and knees, and limp along for a while, trying to act like it's no big deal. It really is, though. It ends up being this huge, enormous plunge into a scary, medical world. And, it's no fun place for a single mom. Yeah ... single. Not in a legal sense. Not even in appearances to some. But single in the fact that every treatment, every pill or syringe administered, every tear cried over my first born, my baby boy, was done alone. It has been a major struggle. Some mornings, I would wake up and wonder, "Can I make it another day?" It felt, at times, like I was succumbing to isolation. Succumbing to this hospital in our home. When I look back over the past, nearly 9 years, I see a blurry whirlwind of hospital admissions, treatments, experiments with different medications, on a lung function roller coaster. Had I not done it alone, I'm sure it would have still been extremely difficult. But, I wonder if, had I had someone to cry on, someone to scream at about how CF is so unfair. Someone who would let me be unreasonable from time to time. I wonder how these past 9 years would have seemed. I was angry. Angry at the choices I had made. Angry at the cards that had been dealt to me. I was chained to the bed I had half-hazardously threw together. I know it was all for a reason. I did it on my two feet, with my two hands. Having my parents so far away was hard, but mother's comforting voice over the phone line, and a prayer that would bring temporary relief at the end of a difficult day. Somehow, God has carried us through, even though it felt more like I was being pulled through it blindly. I made it through with broken limps, but still standing. Suddenly, there was someone in my life. Almost like someone inserted an "end scene" smack in the middle of a dramatic argument. Suddenly, I was not alone and at first I didn't know what to do with this person I could lean on. This man that would listen to me scream about how unfair CF is. He would patiently hold me through my emotional moments. How this came to be, I can't figure out, but it is absolutely meant to be. The first few months of our relationship, I felt like I was staring at him with strange amusement, wondering, "Why the heck would anybody want to willingly be on this crazy CF roller coaster?" We were chatting online one afternoon, and one simple sentence he said impacted me so much, that I had written it down, and kept repeating it in my head: "You don't have to carry the world on your shoulders, Atlas". As hard as it was for me to admit it, I needed him, my hero, to wrap me up in his arms during the fast, downward plunges, and a beaming smile on the climbs back up. Suddenly, I can be a better mother to these two kids. Not that I was a bad mother before, but, the best of me comes out. My broken limps are mending, and I stand taller. I realized soon after I met him that there is more to life than CF. I can focus on something else besides what medication comes next. I keep looking around and wondering if the sky has always been that blue. Has the birds always sang so cheerfully in the morning? CF is definitely still a roller coaster. It still feels like a monster that sometimes pins his lungs down in the middle of the night. It still hurts to hear him cough and hack after having a good laugh. CF "ain't goin nowhere", but I have four hands to beat the crap out of it now. His appointment Tuesday went well. The doctor is very pleased with his quick recovery. His lung functions are back to 102%. He gained a little weight and grew 1/2 a centimeter. It was tiring doing Cpt for an hour a day during the first week, but I think that, combined with running helped clear his lungs. He only cultured sensitive staph, so there is nothing new growing in his lungs. They can't eradicate the bacteria. They can only control flare-ups. So, as always, we continue to run and fight! Well, Azer has been going up and up with his PFT's. Everytime we have gone to clinic, his functions have been rising, as had his weight. And here's the scoop... he has lost 3 lbs, his oxygen was 95% (lower than usual), and his PFT's were 68% today. That's 68% down from 110% in February. Quite the dramatic drop. Azer started just bawling because he was afraid he was going to be admitted. On paper, all of this looks just terrifying. The doctor took one look at the numbers and said it is the classic sign of an infection. Sometimes it's hard to know when to call the doctor. One minute his cough may sound like he needs to be thrown into an ambulance, the next, he merely clears his throat, and he sounds fine. Over the past month, his cough has been present, but I kept putting it off to allergies. It seems his cough has been becoming more frequent, but not productive. The past few days, I noticed he sounded just awful in the morning, but it seemed to clear up as the day went on. Since school has been out, he rides his bike for several hours a day, goes swimming, and we have been still running as well. So the plan is to obviously increase his breathing treatments, two weeks of oral antibiotics, and feed the kid. In two weeks, if nothing has improved, then we may face admission. He is quite relieved that he doesn't have to be in the hospital right now, as next week is the World Series tournament for his team. Last year was a phenomenal year in finding a cure for CF. They isolated one strain and were able to make an effective treatment for it. 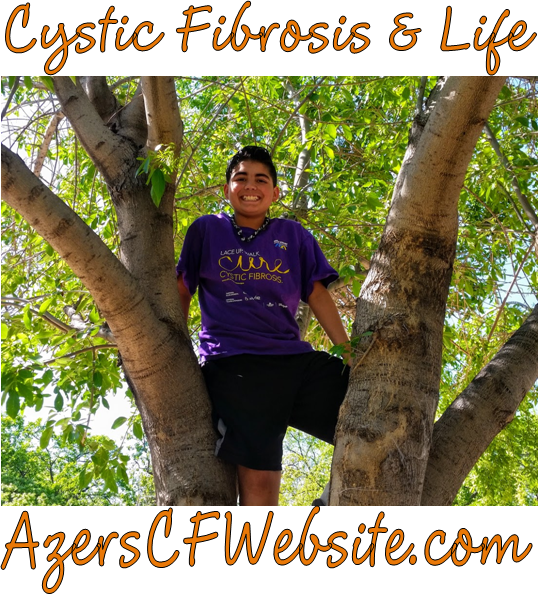 This has also been an amazing year, CF wise, for Azer. His lung function has increased dramatically from the running, and his weight has increased to 60% BMI. He is the healthiest he has ever been. I want to thank all those who walked/ran with us last year. 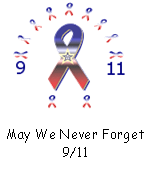 If you have time available Saturday, May 19th, the CF walk is going to be at Fair Park in Dallas. Check in time is at 8am. Here is the link to register to walk, or donate, if you so wish. Thank you to all who are involved in Azer's life and have made an impact on him. 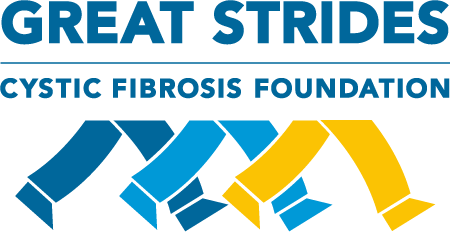 We look forward to another year of fighting CF! Yesterday was another great CF clinic day. Azer's FEV1 on his Pulmonary Function Test was 110%! Again, he has surpassed his best results ever. His last clinic day, he got 106%. I am floored. He also gained 2 lbs and grew about a centimeter. The doctor was thrilled. His BMI is 60%. So, the fact that he is gaining weight while running is fantastic. His appetite has been pretty good, considering the way he has eaten in the past. I was looking at our dailymile.com page, as I haven't gotten into the profile area for quite some time. Under "goals", I had put "To be able to run for 30 minutes straight with my son. Jogging to increase my son's lung functions!". Well, We have surpassed both goals, and I'm proud of myself and of Azer. I never thought it was possible to increase is lung functions by running, but, it works. It really does. I'm not saying that this solves the daily battle of Cystic Fibrosis. I'm trying to remain realistic about it, but I am stoked that we have increased his FEV1 from the mid 70's to over 100%.